Some Islamist fighters from Norway are believed to have taken leading positions within Islamic States, according to the Norwegian Intelligence Service chief. A hundred and fifty Norwegians are thought to be fighting along terrorists in Syria and Iraq. “We believe that some of the Norwegians in Isil [Isis] have risen to middle-management functions,” Kjell Grandhagen, the head of the Norwegian Intelligence Service, told Dagbladet newspaper. “There are still several Norwegians who hold leadership positions in Isil,” Grandhagen told the newspaper. He gave the example of ISIS commander Bastian Vasquez, a Norwegian of Chilean extraction who was reportedly killed in the fall, and an unnamed Norwegian of Eritrean parentage also known as an ISIS commander. A hundred and fifty Norwegians have joined ISIS according to the police authorities, Dagbladet reports. Kjell Grandhagen claims Norwegians fighting for the ISIS were radicalized in the Profetens Ummah group which is active in eastern Norway close to the capital Oslo. He explains it is a great threat to Norway as Norwegians who get combat experience in Syria and Iraq can use it back in their native country. Being in ISIS-controlled territory they are in touch with radicals from other countries, and in the future they can easily return to Norway as they possess valid passports and then commit a terrorist act or form an Islamist cell. The official believes ISIS has reached its peak, a culmination point, after being shaken by the considerable loss near Kobani and it needs to change its tactics, but its power should not be underestimated. 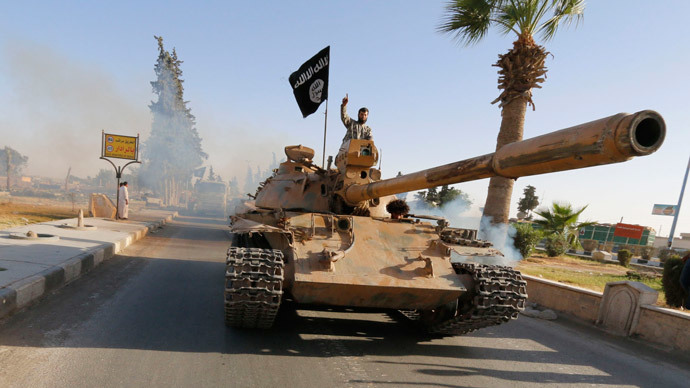 Grandhagen assumes the anti-ISIS airstrikes will make Islamic State shift to a guerrilla war. Grandhagen warns that if the push for terrorism in Norway from Syria is unseen that does not mean it does not take place, and the terror danger in Europe should be seen as a European phenomenon. Europe’s fear of new terrorist acts is on the rise after the tragedy at Charlie Hebdo. Over 5,000 people have joined the Islamic State according to different sources with France, Germany and the UK having the largest numbers fighting with militants in Syria. Their number causes concern in Western countries as they now pose a terror threat if they return home.